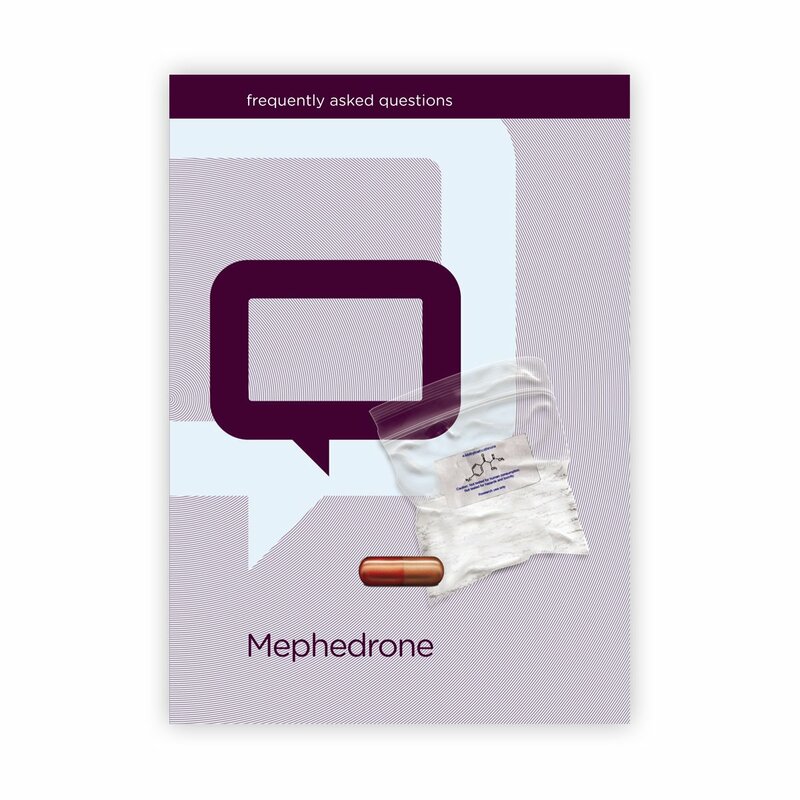 Mephedrone, which until April 2010 was a 'legal high' and freely available online, became one of the most widely used drugs in the country... changing the law has done little to reduce the number of people using it. 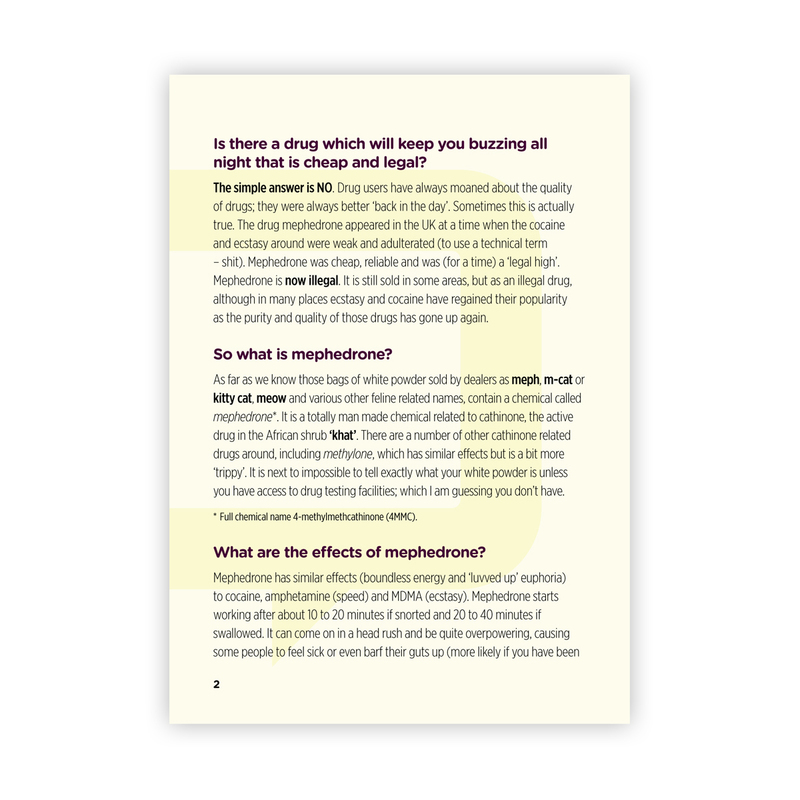 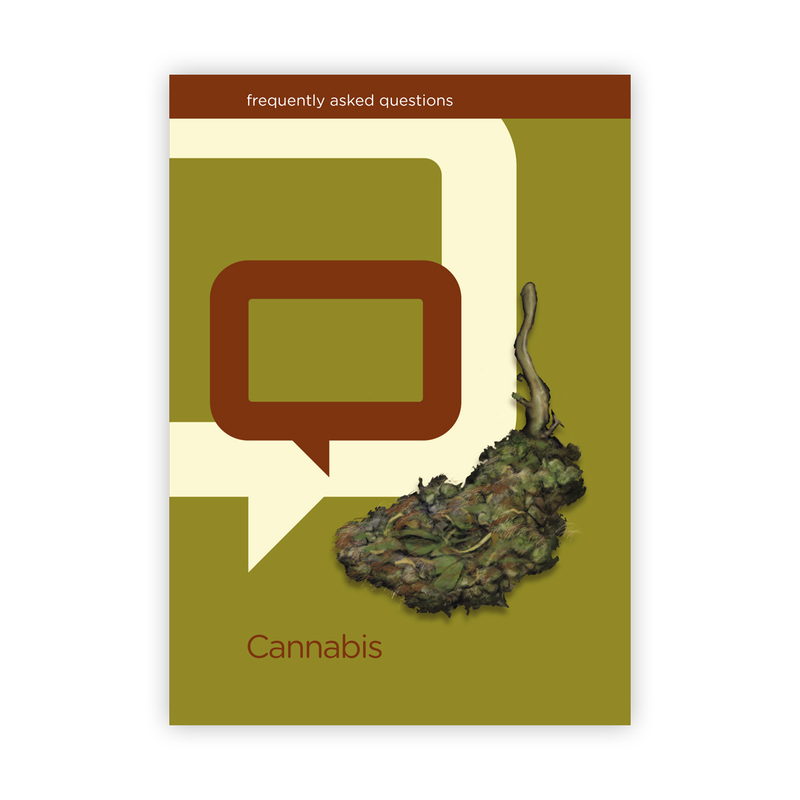 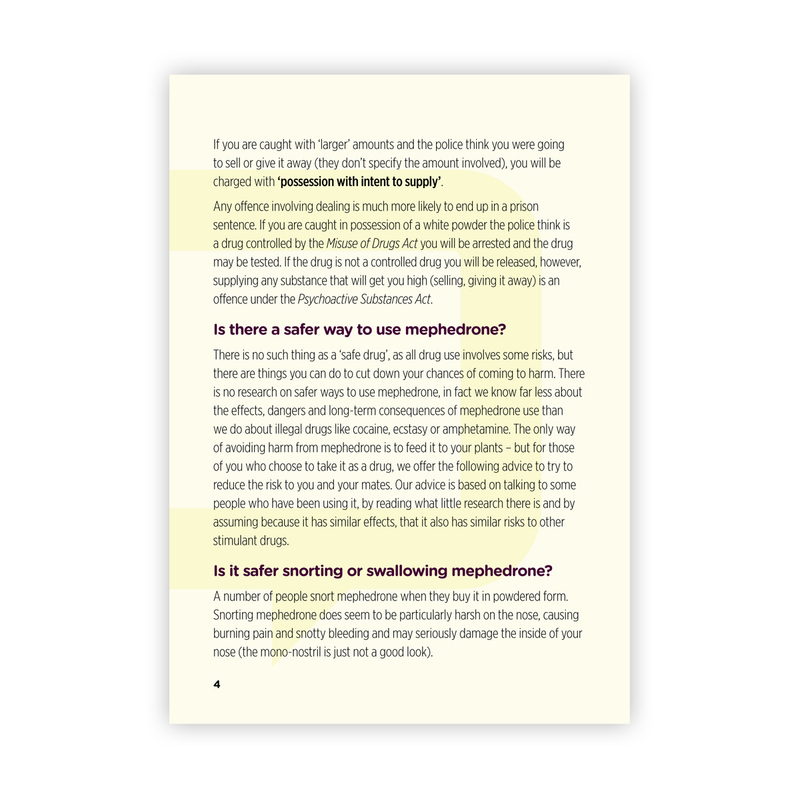 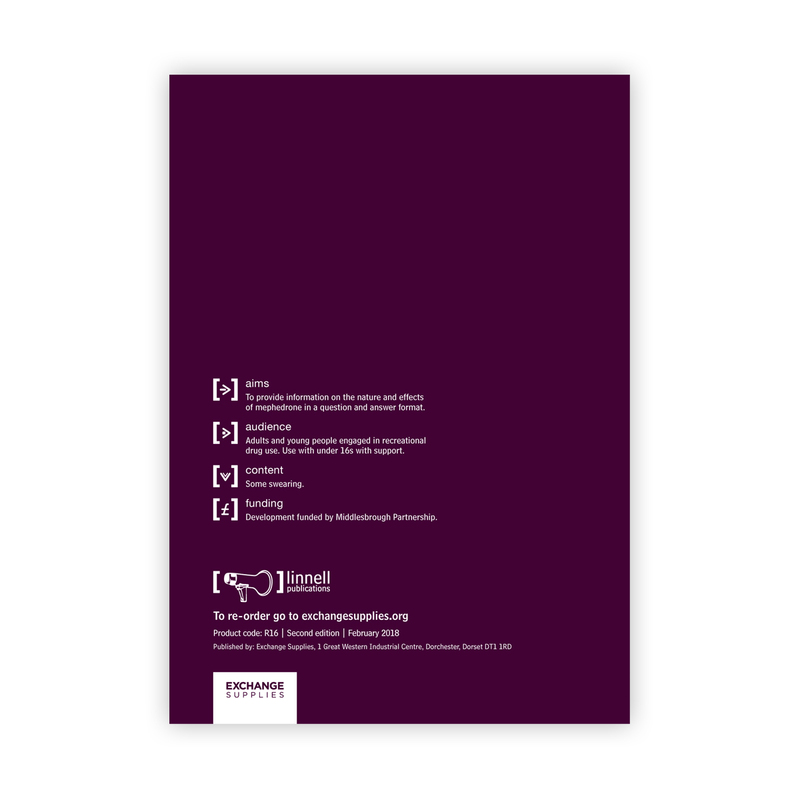 Although there is little known about the specific risks of using this drug, by talking to users about their experiences Michael Linnell produced this FAQ booklet giving those who are using mephedrone essential information, tips for reducing risk, staying safe and looking after friends. 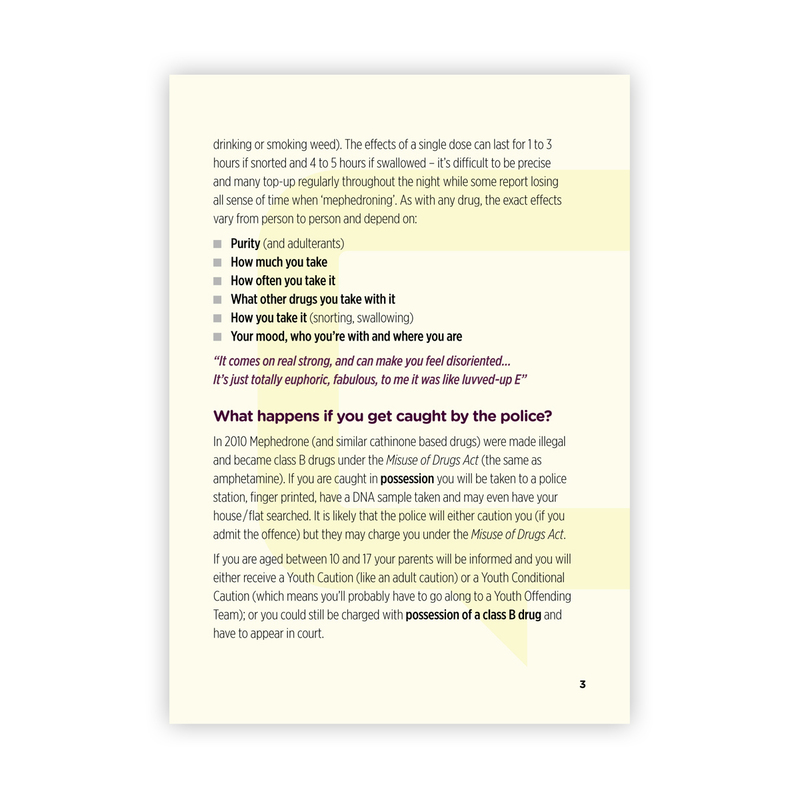 Newly updated to reflect the change in the law, this is an essential publication for all drug and youth services to stock. 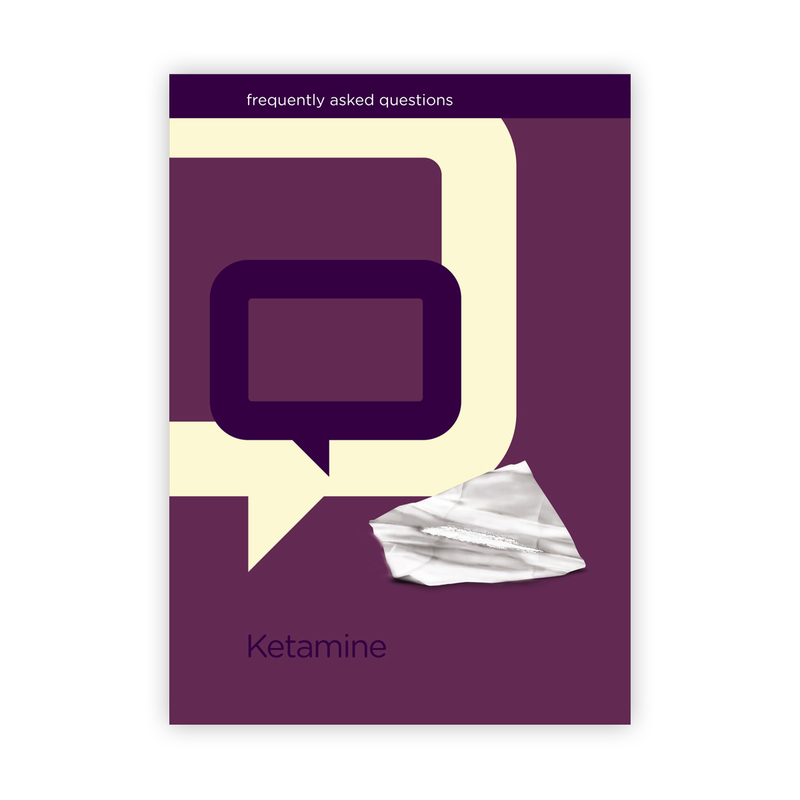 Aims: To provide information on the nature and effects of mephedrone in a question and answer format. 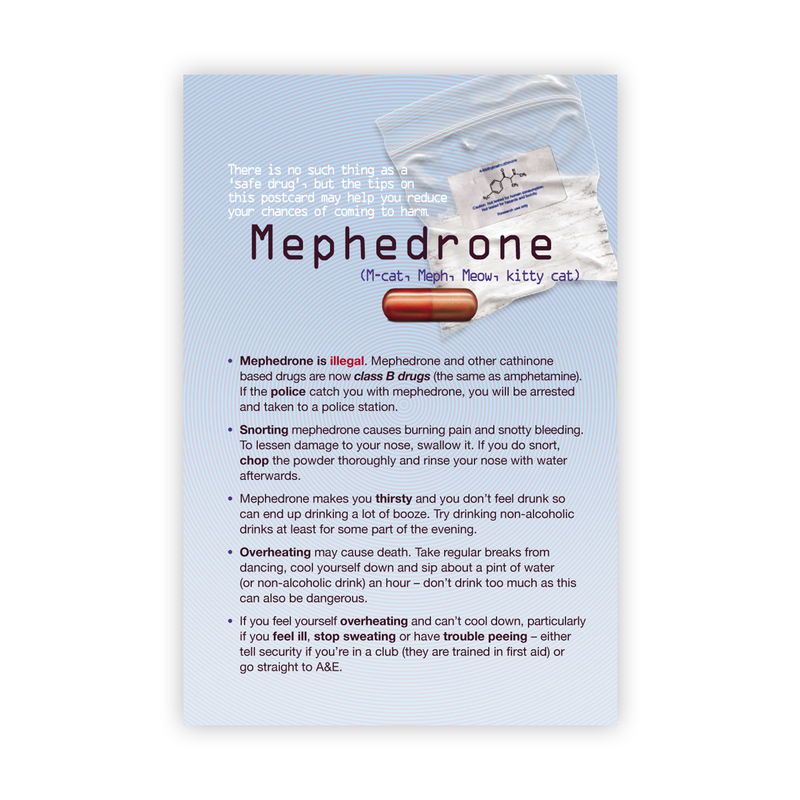 Audience: Adults and young people engaged in the recreational use of drugs. 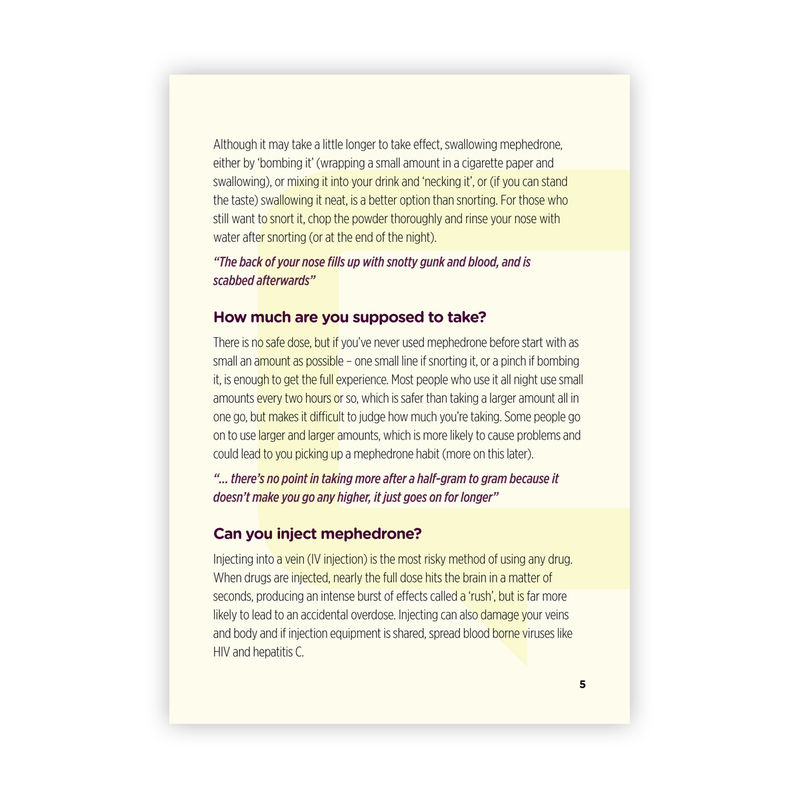 Use with under 16s with support.